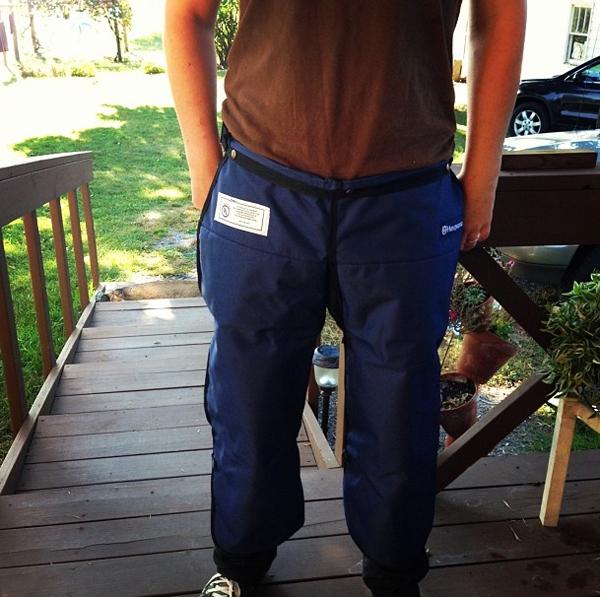 Chainsaw chaps... so he doesn't cut his leg off. Ohhh and what's that?! I know I said ****I**** wouldn't get any more new bikes... I didn't say anything about other people in the house! 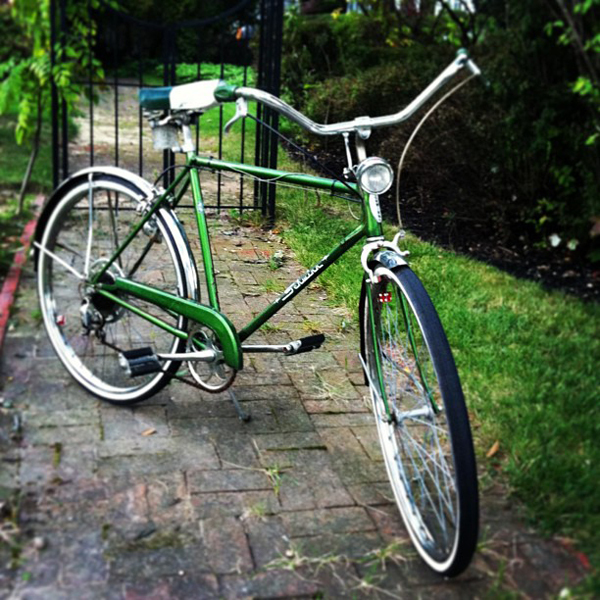 It's a green vintage Schwinn and he named it "Green Lantern" because there is a pedal powered headlamp on the front of the bike. 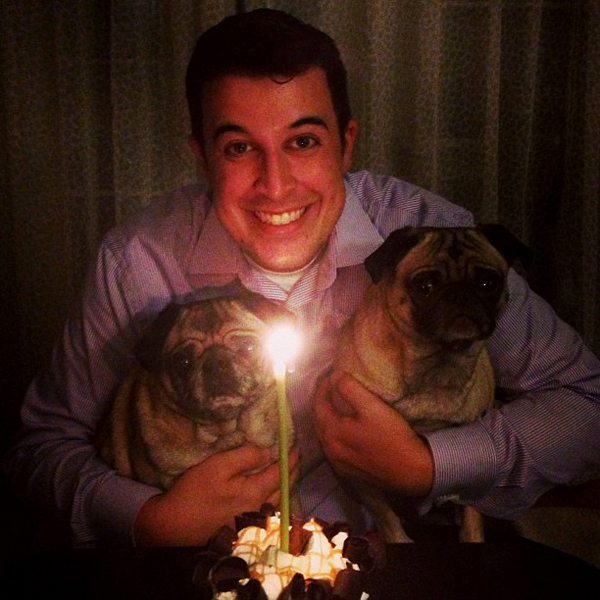 Peanut butter pie and pugs to top it all off! 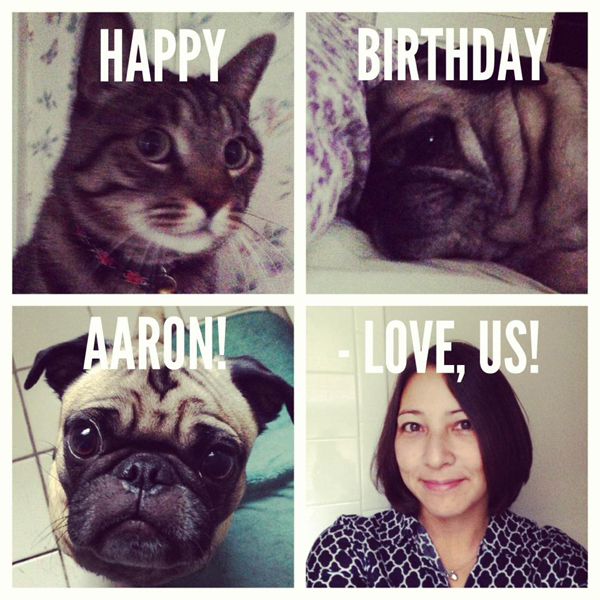 Happy Birthday Aaron!- Love, US! Thank you for another amazing birthday. I love you! 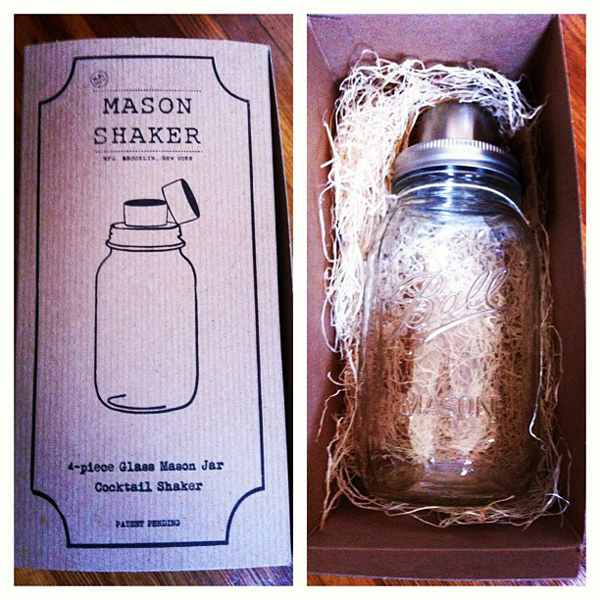 You always give such thoughtful and creative gifts to each other. So fun!